There are 87 companies listed in our Internet Services category for Charlotte. This page shows listings 1 to 20. 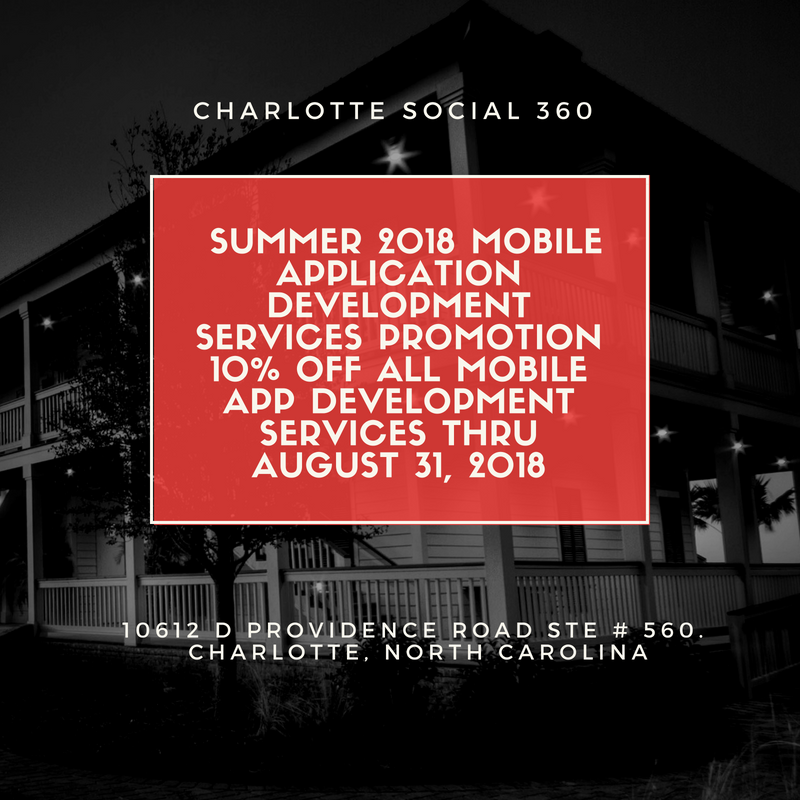 Charlotte Social 360 is offering 10% off all mobile application development and application store optimization marketing services Summer Sale thru August 31st, 2018.